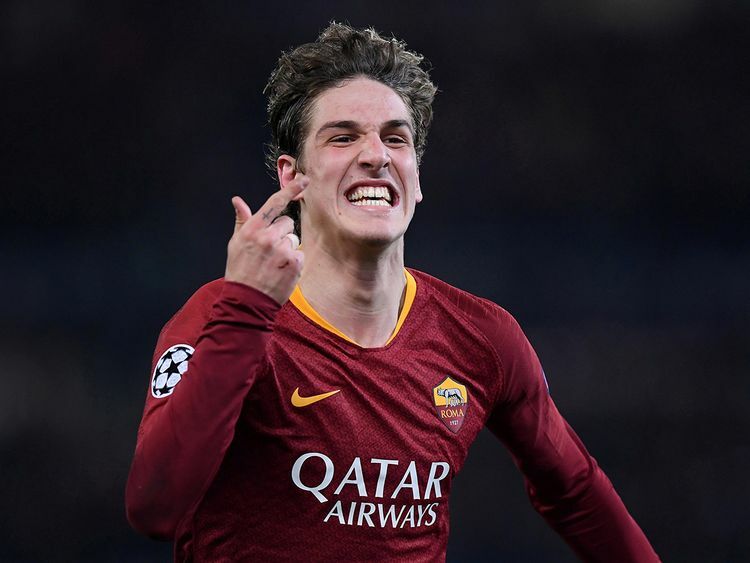 Rome: Teenage sensation Nicolo Zaniolo hit a brace as Roma beat Porto 2-1 in their Champions League last 16, first leg clash at the Stadio Olimpico on Tuesday. The 19-year-old got his first Champions League goal after 70 minutes in Rome, adding a second six minutes later to inflict a first defeat on Porto in this year’s top-tier European competition. Adrian Lopez pulled a vital goal back for the Portuguese club after 79 minutes. Eusebio Di Francesco’s Roma now carry the momentum into the second leg in Porto on March 6 as they target a quarter-final berth for the second consecutive year. Roma, last year’s semi-finalists, had fallen to the Portuguese in both previous meetings, most recently the 2016 play-off round in qualifying. Edin Dzeko looked destined to break the deadlock on 38 minutes when he beat the Porto defence only for the ball to blast off the post. Roma stepped up the pressure after the break with Zaniolo setting up Bryan Cristante who wove his way through again forcing a Casillas save. A Danilo Pereira header flew wide, with Casillas on hand to parry a low Pellegrini effort. Roma’s pressing finally paid off when Stephan El Shaarawy crossed for Zaniolo to finish off with precision after 70 minutes. He soon had his second goal when Dzeko went on the counter-attack, his shot bouncing off the post with Zaniolo on hand to finish off the rebound for the youngster’s fifth goal since moving from Inter Milan last summer. Lopez pulled a goal back for Porto three minutes later with Hector Herrera missing a chance for the equaliser.